I’ve just started using Swagbucks.com as my search engine and I’m quickly earning points good to redeem for gift cards! When I get to 45 points (takes me a week or two of normal searching) then I redeem those points for a $5 Amazon.com gift card. I don’t buy a lot of things online, but Amazon.com is one of my favorite online stores because of the huge selection, great prices, and free shipping on lots of items. There are other gift cards you can also get (Starbucks and Target) but the Amazon.com giftcard is the biggest bang for your buck from a major retailer costing you just 9 points per dollar. Now I won’t even think about buying anything at Amazon.com without at least one $5 gift card in-hand (you can load as many as you earn to your account). The best part is that I’m earning those gift cards by doing normal searching, I just do it on Swagbucks.com instead. And the search results I’m getting are similar to what I would get on Google, in fact the search results are by Google and Ask. And I win often enough that I feel rewarded by searching, and am having fun watching my points add up! I’d love to refer you to sign-up and start using Swagbucks.com. It’s easy to sign-up with just your email address and password. If you like it and you start referring people you can earn your points even faster. I signed up for swagbucks maybe a month ago and have over 100 swag bucks now. I don't have any referrals or anything; I just installed the toolbar and use it as my search engine when I think it'll work just as well as Google.I also e-mailed them asking about if they ever planned on adding a gift card for Amazon.jp (which I would love!) and they e-mailed me back almost immediately and said they would pass on the suggestion. I really hope they do add it!I'm not sure how to go about getting referrals, though. I don't want to spam or annoy people. I wanrt real cash thru paypal, not gift cards. Also what kind of privacy safeguards are there? I can’t seem to get into swagbucks because of the case sensitive code, how can I get passed it? I love your site! I’m so glad I found out about you on the Tyra Show. thanks Heather. I hope you get the referral credit. I look forward to earning some amzon cards. Did you say that’s the best bang for the dollar – better than Border’s? So what exactly does Swagbucks do with all the information they’re getting from the searches? I’m a little skeptical and want to make sure I’m not giving out too much information when I do my online searches! How do I get my referral link to show up as Swagbucks.com as you have above? It looks a lot better than posting a random link. Thanks! So you really can use 5 amazon gift cards or more at a time? Wow – I didn’t know that! Where do you enter the TWITTER5000 code? Hi I wanted to post this swagbucks code from http://twitter.com/swagbucks TWITTER5000 It’s worth 1 swagbuck. We should have a place where we can post codes we find, and ya know…help each other out. I love Swagbucks!!! I’m definitely getting more swagbucks now that I have 3 active referrals. Too bad there’s a 100 swagbuck cap on the referrals. @Pam yes, you can use more than one Amazon.com gift code. everytime I get one, I add the gift code to my amazon account and save them til I have enough for what I want to buy from amazon. Are you awarded swagbucks randomly? I signed up and I do my searches on swagbucks, but I am not getting any swagbucks. Do I just need to stick with it? Will I get at least one a day if I do it every day? I just started using swagbucks at the beginning of the year. I have earned enough for Amazon gift certificates already but haven’t redeemed them because I don’t know what the expiration date policy is. If I cash in some points for gift cards early in the year, can I save them until Christmas, for example? I too love swagbucks and usually don’t even pay attention to the bucks I have won until I close down everything for the night. Then I am quite amazed at how much I have won. I do al my searches with swagbucks. Since August of last year, ehen I joined I’ve gotten a little over 400 swagbucks. With referrals and searches. Swagbucks is my favorite of all the prize winning search engines. How do you get so many in one week? Is it from referrals? I get about 45 in one month. do you download the toolbar on swagbucks?? I *love* Swagbucks! Yes, you can use multiple gift certs at one time – I did a lot of Christmas shopping with them! 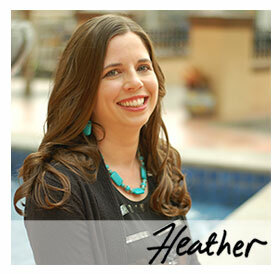 Heather, our blog birthdays have occurred at almost the same time. Your blog has skyrocketed while mine is still fizzling, but you do have FREEBIES! I love and appreciate all the samples & freebies that you have led me to! I am going to start using Swagbucks too. BTW, I am having a giveaway this week to celebrate my 1st blog birthday. Come by and enter! Can you use more than one Amazon gift card at a time?